Editor’s note: In 2018, utilities and solar opened their “beautiful friendship” to a new BFF – battery energy storage. 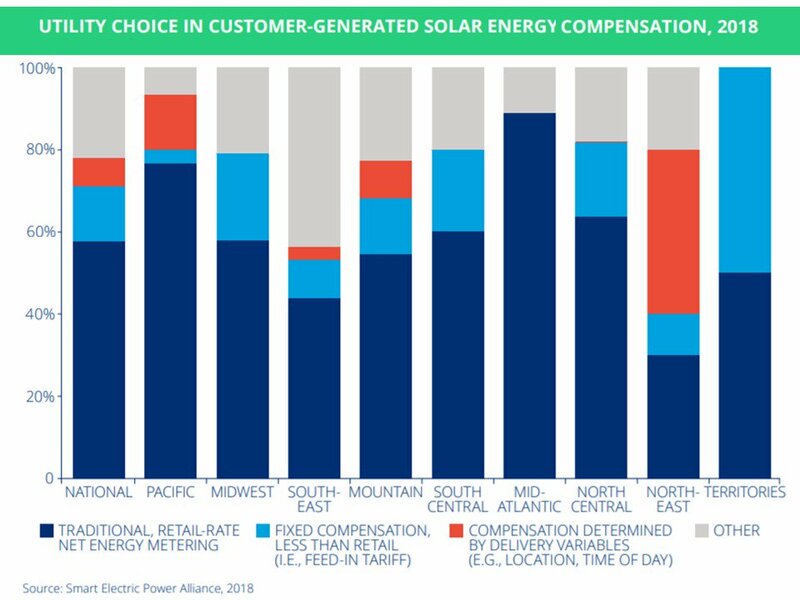 New numbers show the "beautiful friendship" between utilities and solar is growing and bringing the U.S. power system's transition to higher renewables penetrations along. Contrary to the word from Washington, D.C., utility-scale renewables are not "badly behaved coal plants" that threaten grid reliability and national security, Seb Henbest, lead author of the Bloomberg New Energy Finance New Energy Outlook, wrote July 25. "By 2050, we're painting a picture of an electricity system utterly reshaped around cheap wind, solar and batteries." Wind and solar were 8.2% of U.S. generation in 2017, with wind at 6.3% and solar at 1.9%, and growth continued in 2018. U.S. grids are integrating record levels of renewables without disruption.